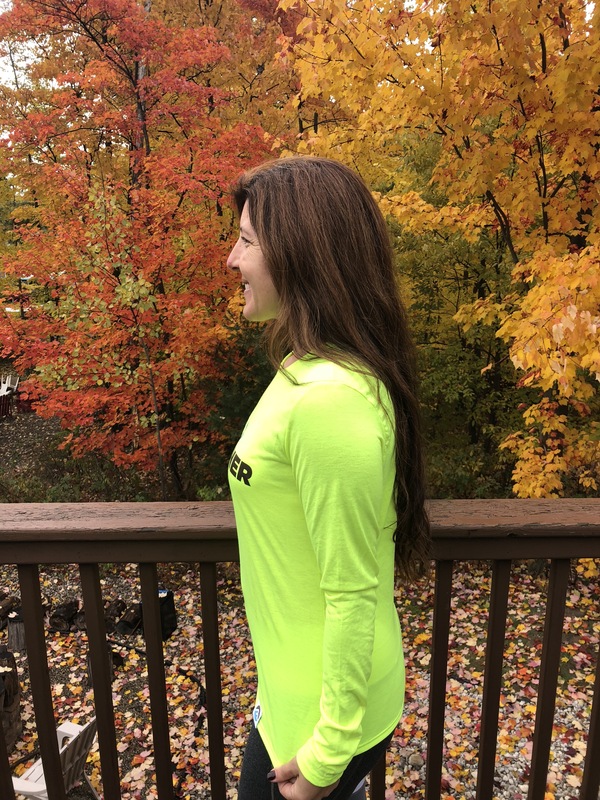 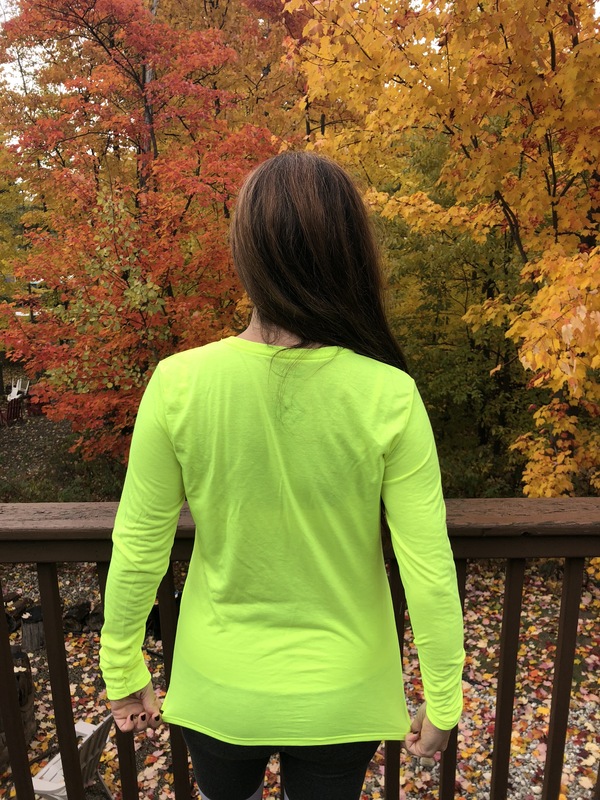 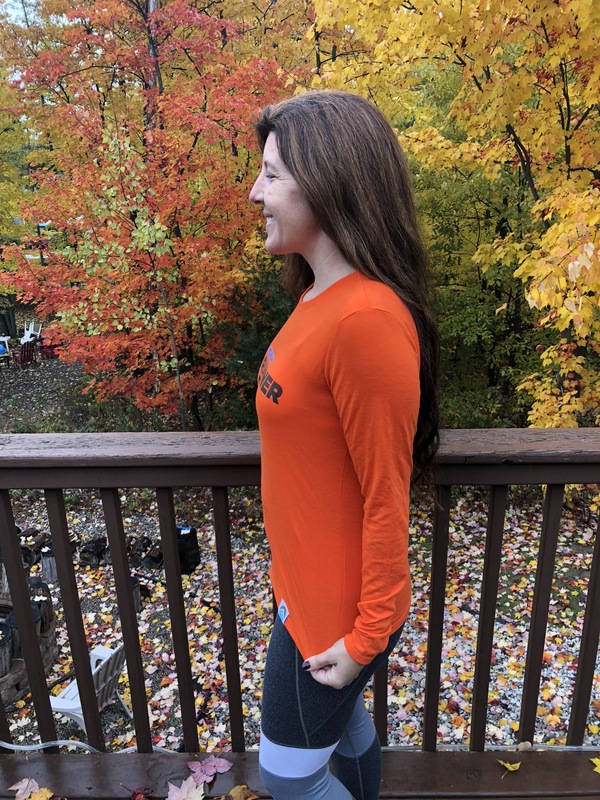 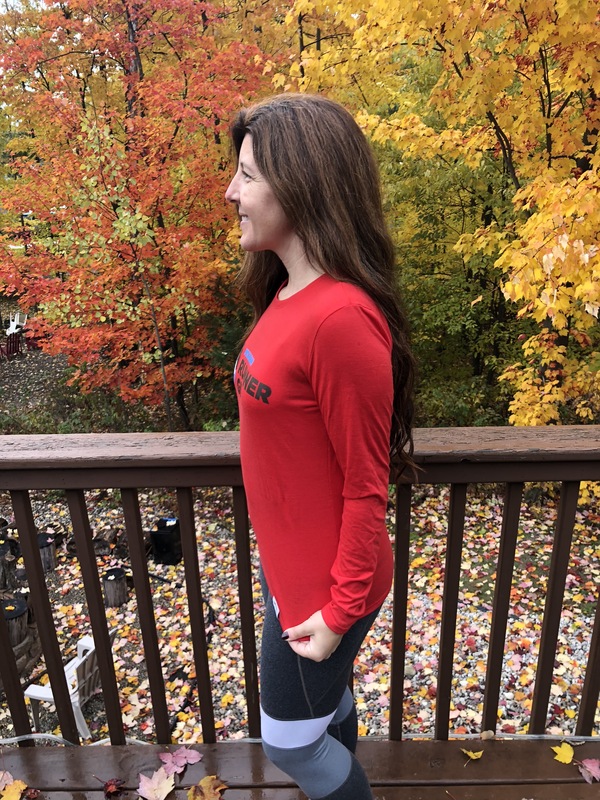 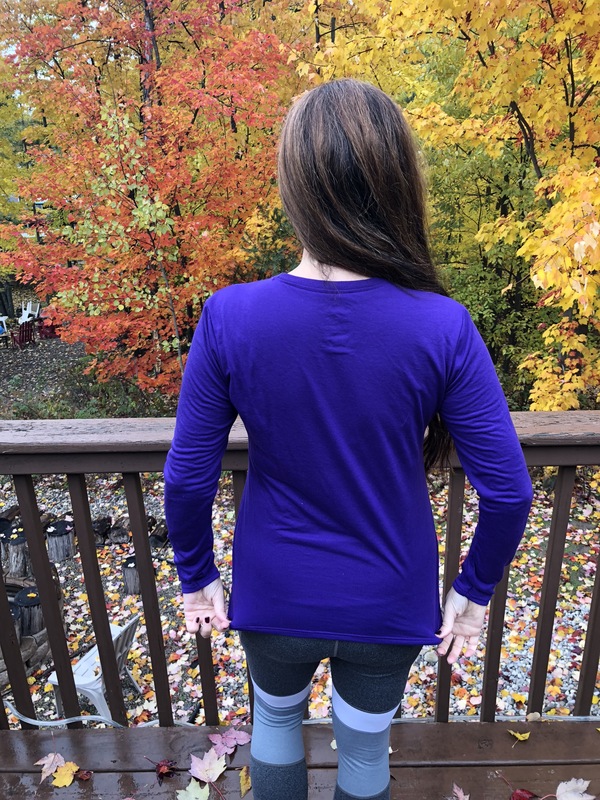 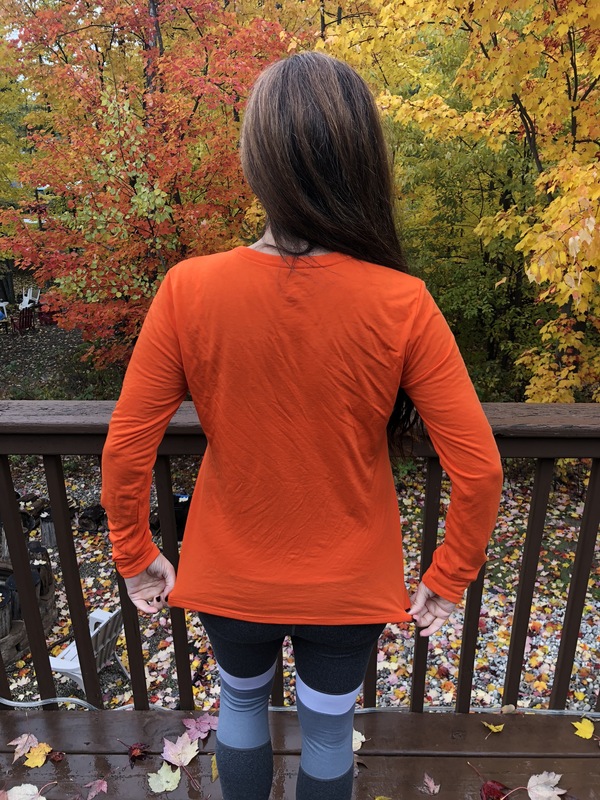 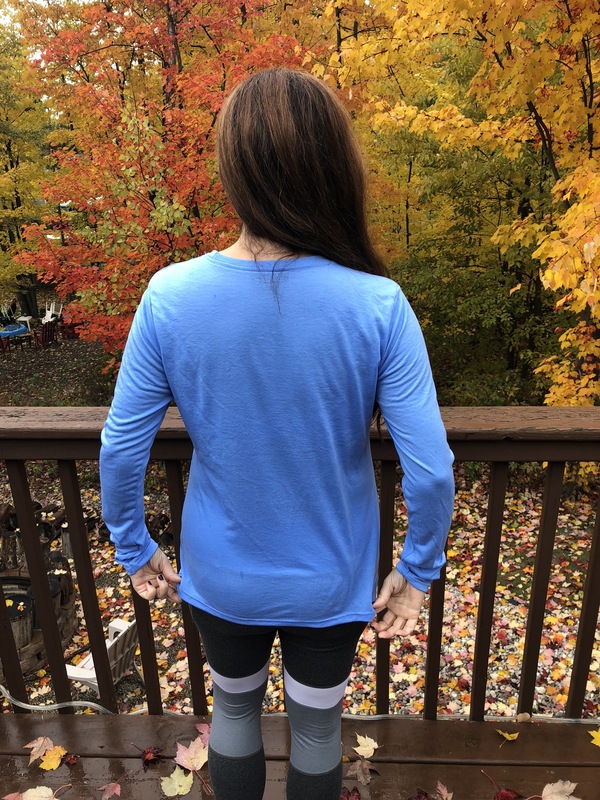 A perfect layer for cooler-weather running, this long-sleeve performance tee is soft and breathable. 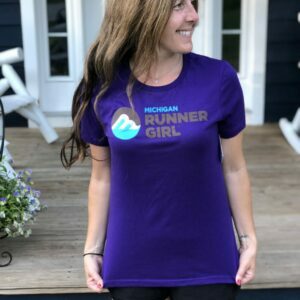 (Team MRG wore these tees during Reebok Ragnar Michigan the last three years and we loved them!) 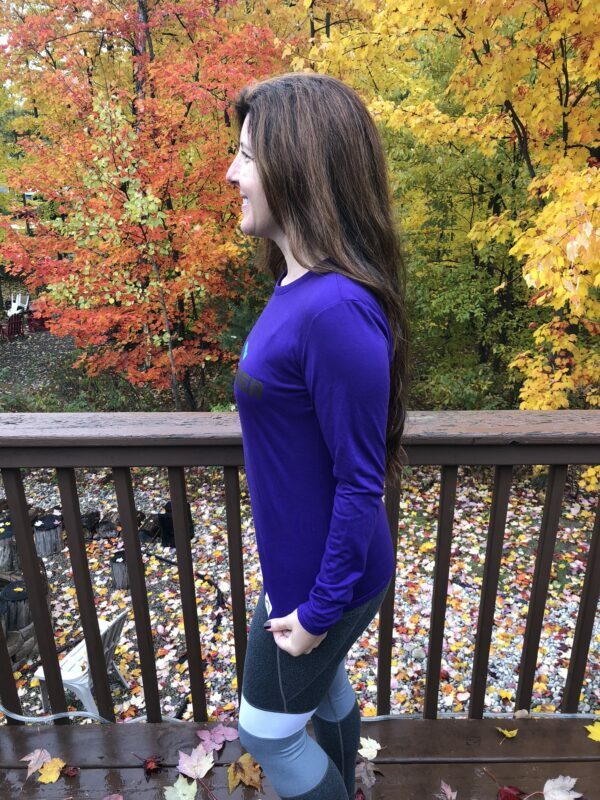 You’ll also find yourself reaching for it as an everyday lifestyle piece. 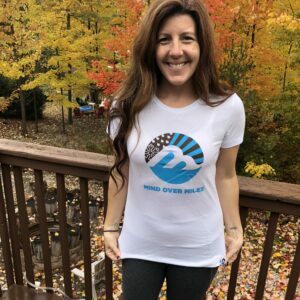 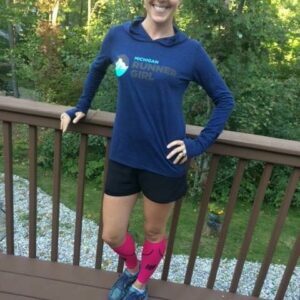 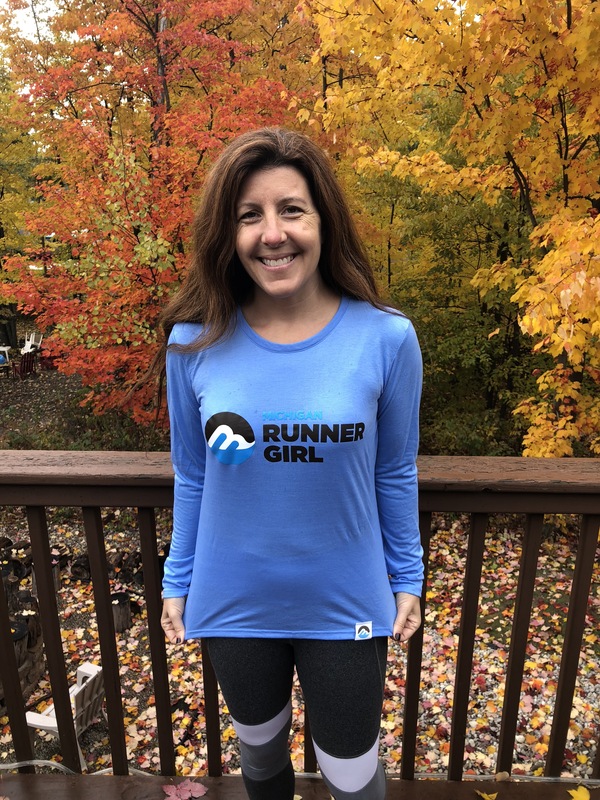 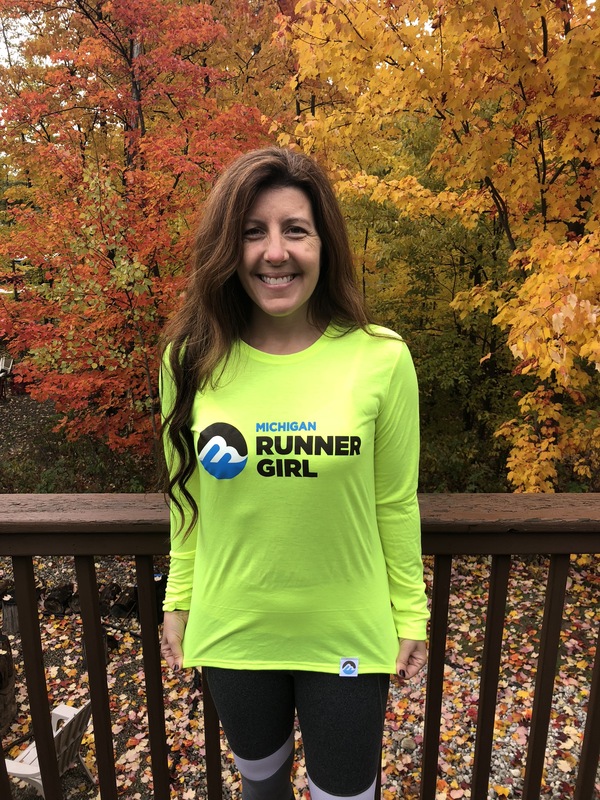 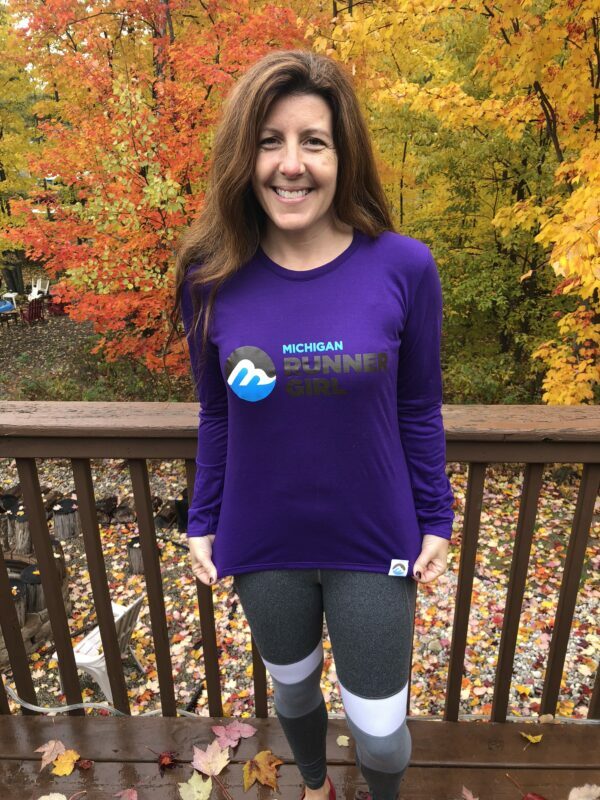 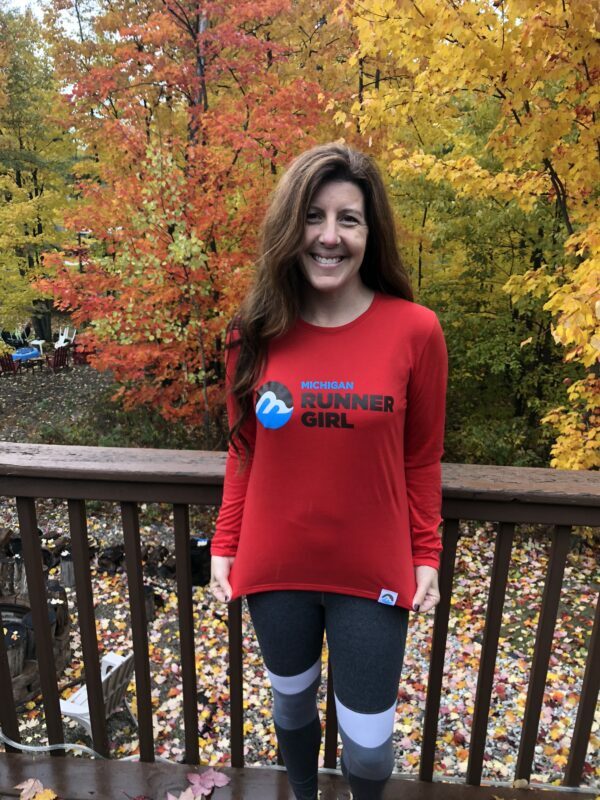 This tee features the MRG logo in blue, brown and white; the words “Michigan Runner Girl” set in a beautiful blue & brown. 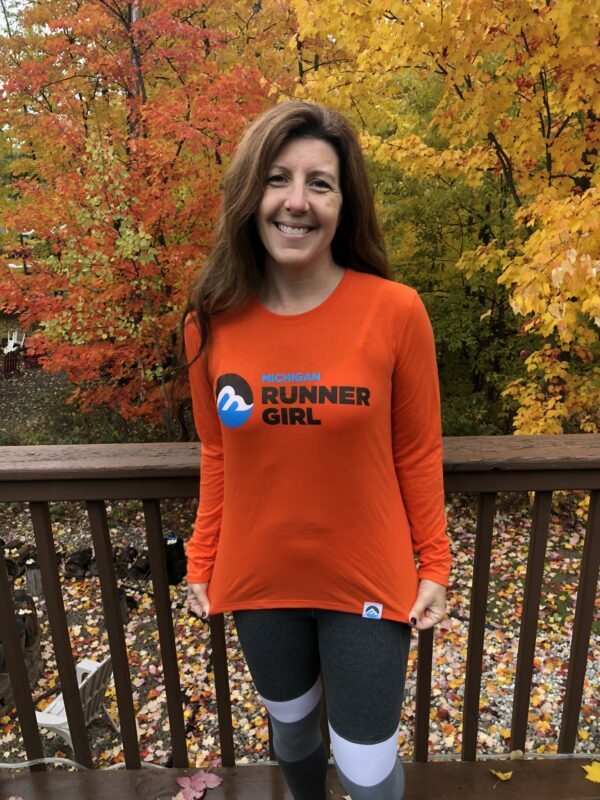 This design features an extra touch: a small MRG logo tag on the tee hem. 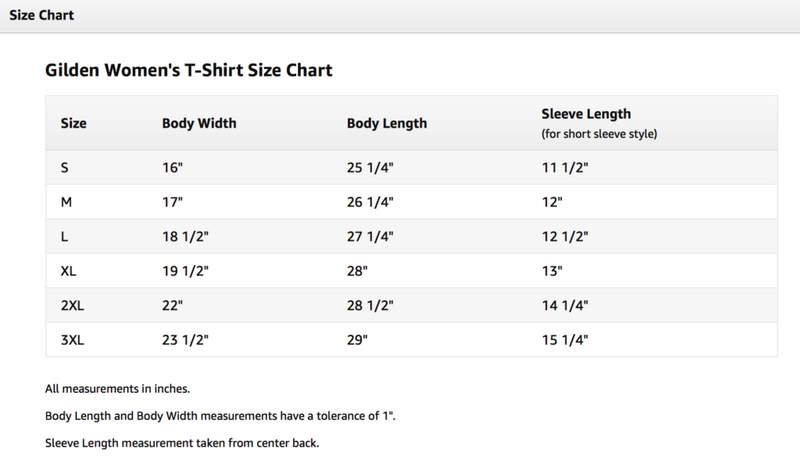 Sizes: Ladies S, M, L, XL, 2X. This tee runs fairly true to size. 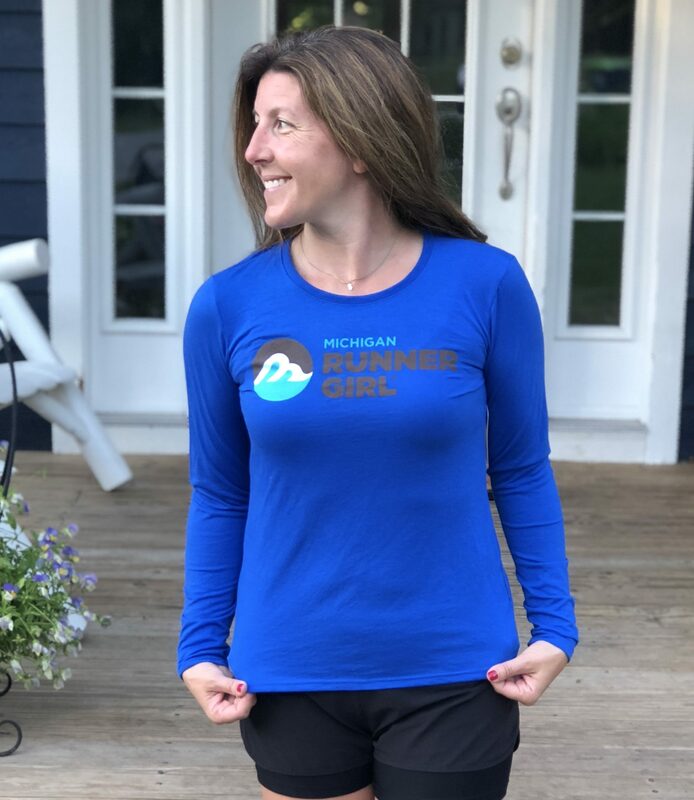 Heather is wearing Mitten State Blue color in the picture in front of the white door.